It has always been said that whenever there is light, there is an opportunity for a photograph to take a photo. When an exceptional moment arises a photographer needs to rise to the occasion and capture it in a magical way. But what happens under clear or stormy night deserves also to be captured. Nightfall presents a thousand possibilities for a photographer to freeze the great moment. These are only possible if you are equipped with a camera that can take a photo in a way a viewer understands. The camera is one of the greatest technological inventions of the 19th century and it has been getting better and more efficient. Over time it has assumed many shapes, serving an endless purpose and providing a door to the past. In the earlier days, the camera was only able to mirror an image where a photographer could trace by hand. The best cameras for night photography can capture an image that can preserve its originality for ages. From Obscura or pinhole to film to digital cameras, cameras have undergone a lot of evolution. Taking a photo was not as easy as it is nowadays, photographers needed to go a great length to capture an image. The first image taken by Joseph NicephoreNiepce in 1827 was captured using Obscura camera and remind us of how the technology has really evolved over the past decade. Ancient Chinese and Greek philosophers are pioneers of the development of camera technology. Thanks to their dedicated effort to the development of this technology now we have digital cameras on our smartphones and taking a photo is not a painstaking experience. Night photography involves taking a photo between sundown and dawn, whether in a clear sky, moonless night or on a stormy night. These require a preparation of its own because taking a great nightscape photo is an element of a chance and its achievement relies heavily on your own preparedness. These images can be captured only using the best camera in the filming industry. A quality camera for night photography is one that combines the following features, Night vision IR LEDs, High-quality glass lens and IR cut filter. Cameras with digital single-lens reflex (DSLR) system tend to perform better than mirrorless system cameras. This camera is classical and reigns supreme when it comes to low, light photography. D810 has the highest resolution of all Nikon DSLR cameras. With 36.3 megapixel feature, Nikon brings imaging power to play. A Combination of the Fx-format image sensor and Expeed 4 image-processing brings about images with great clearness. What makes this camera to be the best in the low, light photography are the following features? D810A has done a great deal in improving ISO range compared to any other Nikon products. This particular product is more impressive in low light imaging. Its ISO range can be extended from just Lo1 (ISO 32) to almost Hi2 (ISO 51200). With low provided by D810A, a good dynamic range is achievable. Nikon 810A has the lowest aperture size, these allow more light to enter as you take the photo. Thus the reason why this camera is the best when it comes to night photography. Its aperture size is as low as 1.0fps. D810A has a shutter speed of between 1/8000 and 30 seconds. It can be adjusted to suit different scenarios. For it to be effective on low light photography, the speed should be fast. Canon 6D is the best ever built full frame DSLR in the canon family. It gives the best result in high ISO setting. It comes with 20.2-megapixel full-frame CMOS sensor. It produces high-resolution and clear images. its ISO stands out from any other Canon cameras with its sensitivities starting from ISO 100 to ISO 40000 but also has an option to be expanded to L:50 and H2: 102400. Canon 6D sensor can take the photo of 6240 x 4160 pixels with a pixel size of 5.67um. With 20.2 megapixel CMOS sensor Canon 6D provides topmost photo quality where sharpness, detail, and illustration of colors are put together out of a scene. Its larger sensor has the capability to produce larger visual depth and creates a way of having a command of the plane of a focus as well as apply selective centered techniques. Canon 6D was designed for low light scenes. Having the ability to operate on low ISO makes it flourish in low light imaging. This camera is built with an ISO range of 100 up to 40000, this has made it possible to function in any amount of light. Canon 6D with low ISO adjusted can produce best and detail images. Canon 6D lens plays a great key role when it comes to low light photography. To capture the best image in a low light scene is by allowing more light into the camera. Adjusting lens f-stop value enables the camera to allow more light thereby increasing the quality of the image taken in a low light scene. The shutter speed for Canon 6D is varying between 1/30 up to the maximum of 1/4000 of a second. For canon to be effective on low light scenes it requires the speed of the shutter to be slow. The shutter speed works hand in hand with ISO setting to deliver the best image in low light photography. Nikon D5 stands out among low light camera preferred for night photography. It is another FX-FORMAT DSLR camera in the Nikon family. The new improved features such as new sensor design, metering and image processing make it possible to capture a clear and high-resolution image. Its ISO range is a game changer in low light photography. It comes with 20.8 megapixel which ensures that the image quality taken using this camera is one of its kind. Its shutter speed of 12 fps ensures that every shot taken has maximum exposure. It is equipped with EXPEED 5 and a buffer of higher performance that can manage up to 200 NEF (RAW). 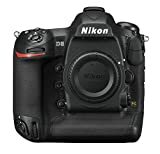 D5 is fitted with 20.8MP FX-format CMOS sensor which is among the best in Nikon brands. The image processor has been updated with EXPEED 5 technology. What makes it more powerful is the second processor added to be used by autofocus. With more power Nikon D5 excels when it comes to low light photography, it delivers the best and clear images. Nikon D5 is ideal for low light photography because of its widest ISO range. Its ISO range can be as low as 100 and high as 102400, with a potential to be extended up to Hi-5 ISO 3,280,000. This makes it possible to take clear photos in a scene where light is dim. Nikon D5 rules when it comes to low light photography. With a capability of having the smallest lens size of f/1.4 ensures that mages captured in dim light are of clear and of high resolution. This camera has an amazing speed of 14 fps and fixed focus with full-time AF/AE, 30 up to 1/8000 seconds. The new shutter is designed to remove blackout and mirrors. Its speed of 14 fps assures you that every shot taken has maximum exposure, and therefore the end product is of high quality. Metering and exposure control makes Nikon D750 an outstanding camera for low, light photography. Boasting 24.3 megapixel Nikon D750 enhances shooting capabilities of a photographer. Its light and design for images that are taken in low light scenes. It has a continuous shooting speed of up to 6.5 fps. Nikon d750 latest generation AF system is another feature that has been added by the manufacturer to look cooler. Nikon has dominated Filming industry by producing high performing DSLR cameras. D750 perform better in sensor technology With 24.3 Megapixel sensor. Images taken with this camera are outstanding and out of this world. D750 has the widest ISO from 100 to 12800 and can be extended up to ISO 51200. With the highest ISO noise is minimized. It provides auto ISO control when in manual exposure. But at ISO 50 you stand to lose highlight contrast. In 750D semi-automatic mode is the most preferred setting as this gives a photographer a control to adjust the lens size. Aperture size always controls the sharpness of an image. Nikon d750 can do 6.5 frames per second that are at a speed of 11 tps. D750 can shoot consciously for an extended period of time. But its downside is its buffer size that can only allow 15 RAW files, in a camera design to be used in night photography it should have more space to accommodate more than RAW 15 files. Sony innovative features have taken photography to a new height. Sony Alpha a7R is the one and only 35mm BSI CMOS sensor currently in the world. Vaunt with 42MP full frame mirrorless camera that can take prodigious photos. It is furnished with the hybrid autofocus system and has 4K video potentiality. What makes it ideal for low light photography is its widest ISO range, it can be adjusted as low as ISO 50 and high as ISO 25,600. 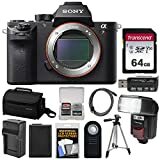 Sony Alpha a7R 42 megapixels is unique, it brings imagination into reality. It is fitted with a back-illuminated sensor designed specifically for low light photography. The BSI technology makes a7H model make emerge as the one of the best in night photography. A7H makes a start of the new generation with Bionz X Processor, capable of performing heavy-duty jobs without pressing on the CPU. A7R has the widest ISO starting from ISO 50 to an extreme end of ISO 25,600. With this feature in place, a7R produces high-resolution images even in dark alleys. Sony has introduced a new set of lenses, E- mount lenses. With this type of lenses, it’s possible to control an amount of light coming into the camera without much trouble. Sony a7R can continuously shoot at a speed of 5 fps with AFP. This is effective, especially in a low light scene. The maximum speed is 1/8000 seconds. Advancement in camera technology has made a huge impact on night photography. These changes have made it possible to take high-resolution images even in the cover of darkness. These images are captured by decreasing the aperture size while increasing the shutter speed. Nikon and canon brands rule when it comes to low light photography. Both brands flourish in cameras with digital single-lens reflex (DSLR) system. They have continuously improved their features to specifically make it possible to take images in low light scenes. Sony has also has made a great stride when it comes to low light photography by introducing new E mount lenses. Click Here To Read More Articles About Cameras!